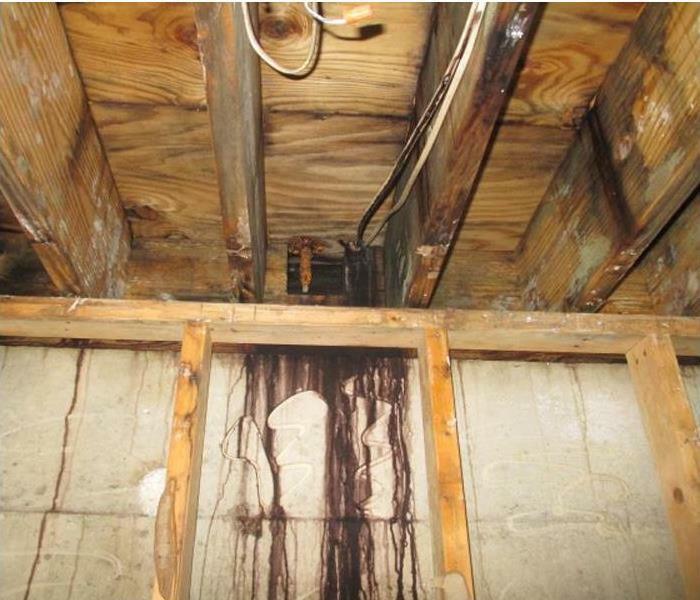 Water seeping through the flat roof can invite the growth of mold in this Harriman garage. 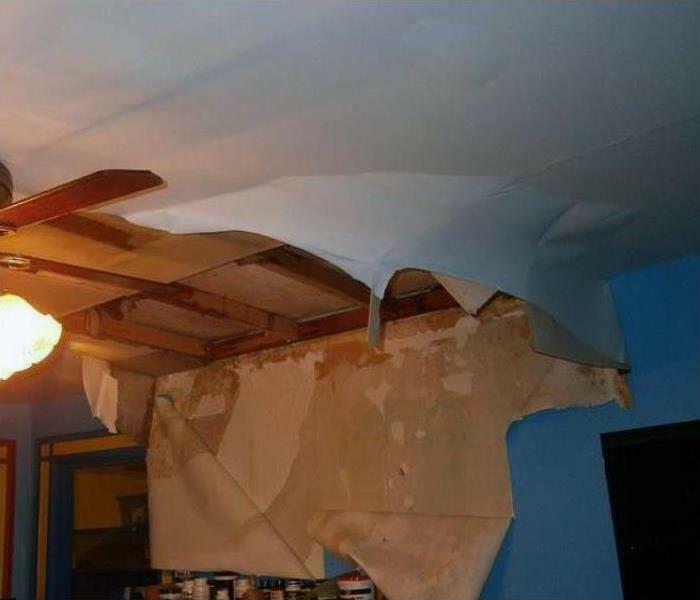 Though this is not considered a living space of the house, the structural damage that can occur means an unneeded expense for the homeowner. 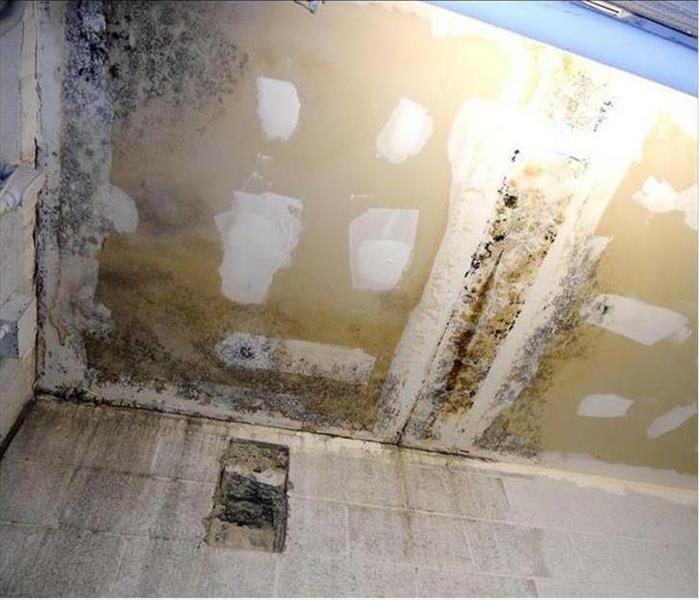 Call SERVPRO to remediate the mold development and stop it fast. When your Lenoir City property experiences a storm damage emergency, you need help from our experts. We are locally owned and operated, available 24/7, and Faster to Any Size Disaster. 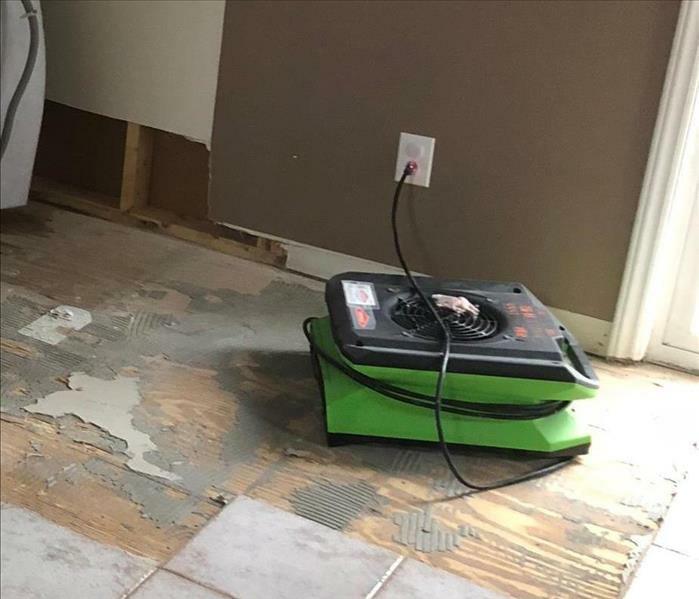 SERVPRO of Loudon & Roane Counties has the training, personnel, state-of-the-art equipment, and storm damage experience to restore your property in Lenoir City to pre-damage condition. This Photo depicts a devasted home in the Harriman area after a fire. SERVPRO can don protective gear and remove all the ruined materials, both structural and contents, and begin to neutralize the pungent odors. Our customer can benefit from our interaction with the insurance adjuster if needed. When a tree falls on your house during a storm, who do you call for remediation and restoration services in West Knoxville? Well these clients called the IICRC certified technicians at SERVPRO of Loudon & Roane Counties. Our technicians tarped the roof so the house would not be damaged further. Then we proceeding with making it "Like it never even happened." Should your home face similar damages from a storm, call us at (865) 986-3015. We want to give a special shout out to our team member, Meredith. 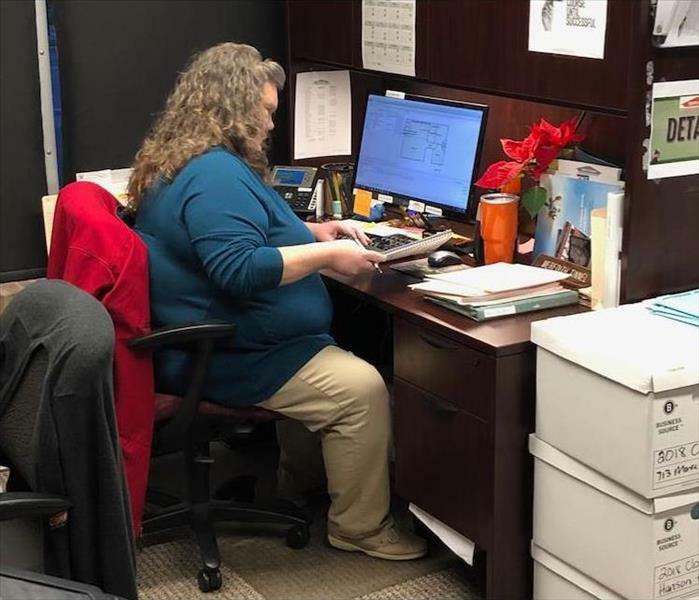 We arrived at the office at 7:30 AM and noticed that she was already at her desk hard at work. Thank you for your commitment and dedication to our company! This Photo depicts the final appearance of a significant fire to a Lenoir City property after our SERVPRO team completed the demolition. There is no unwanted excess moisture, odors from the fire, or charred surfaces. Our scope of service being well-planned and executed prepares this area for a rebuild. When a storm has damaged your carpet, you need the team at SERVPRO to help. 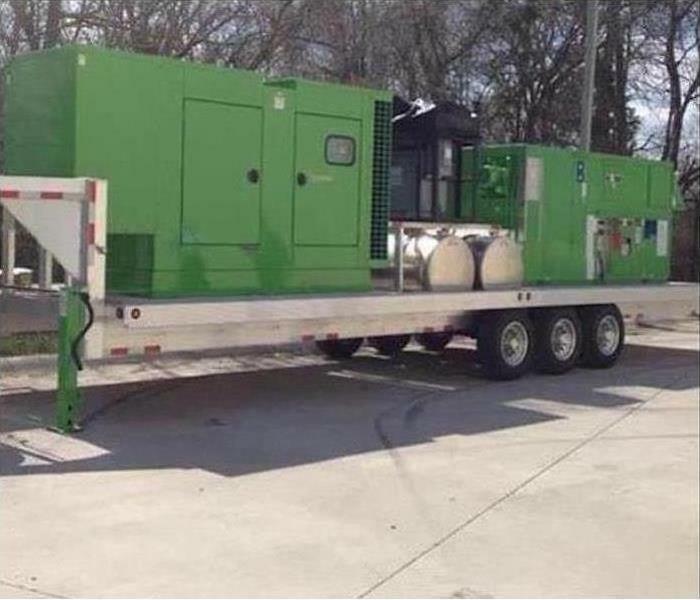 We are ready 24/7, locally owned and operated, and Faster to Any Size Disaster! 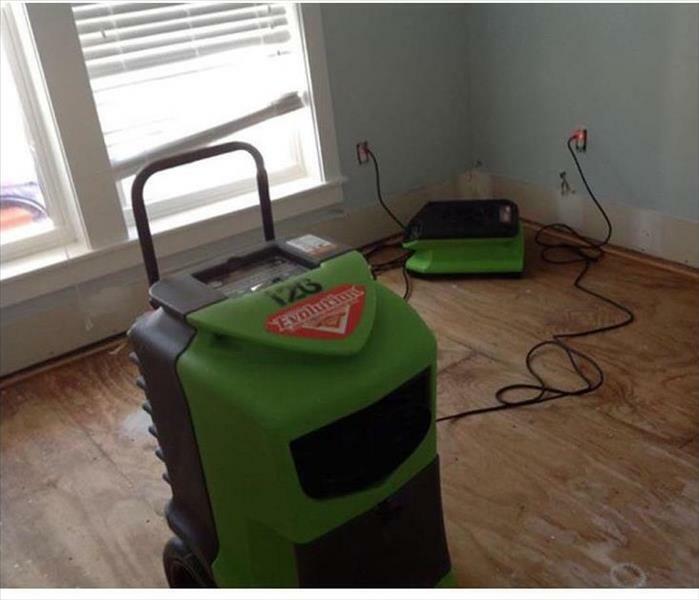 SERVPRO of Loudon & Roane Counties has the equipment, training, and experience to restore your home to pre-damage condition. A busted main can quickly cover the inner workings of a large condo building in the Loudon area with volumes of water. Concrete and an enclosed space present challenges to rapid drying, without water damage. That is why SERVPRO is the answer. The low profile air mover is pushing air circulation to expedite evaporation increasing the rate of actual drying in this Harriman property. The wall cavity where the sheetrock was removed and the lifted ceramic tiles allow for full access to the affected, wet surfaces. 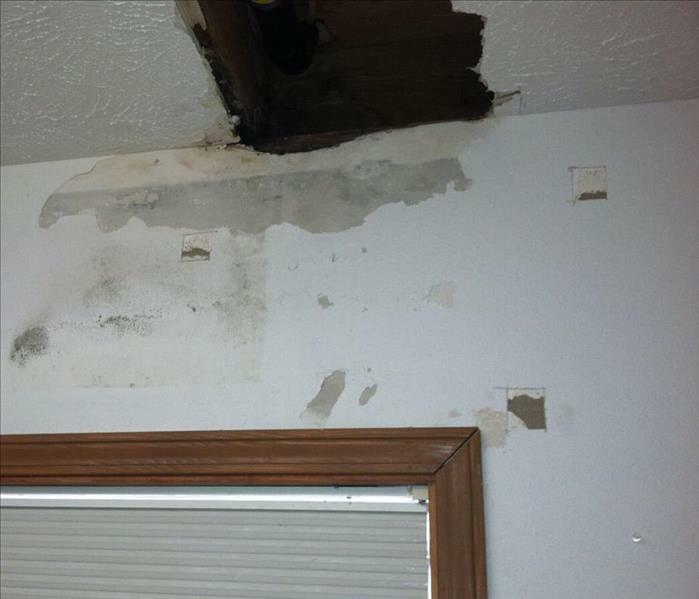 Our SERVPRO tech will monitor this area for several days until moisture content levels are restored to normal. SERVPRO of Loudon & Roane Counties is Faster to Any Size Disaster! 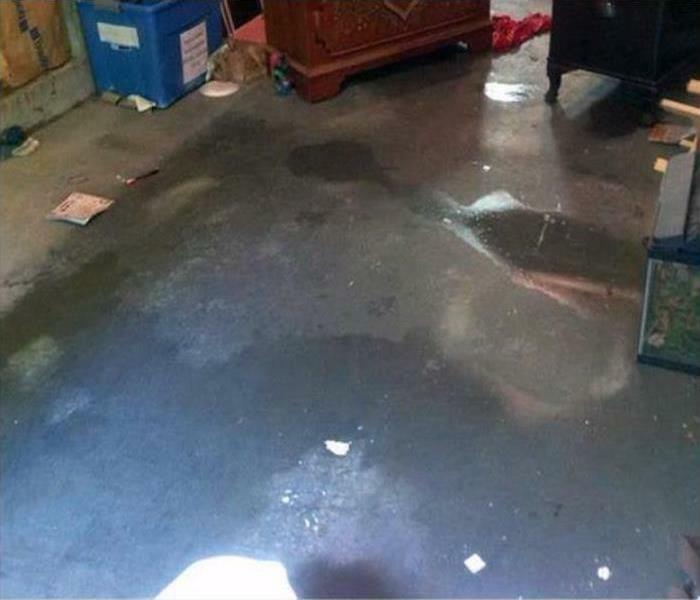 Our crew can respond 24/7 to your water damage emergency, and we will arrive quickly to begin the restoration process. We have the training, equipment, and expertise to restore your home to pre-damage condition. Removing the charred residues on trusses and sheathing can readily be accomplished by SERVPRO FST technicians in the Oakridge area. 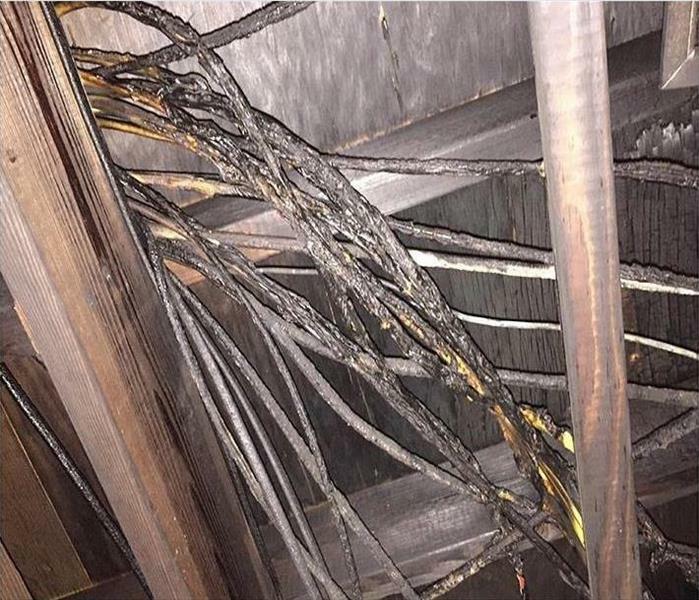 The matter of dangerously burnt wires and cables means we can partner with a certified electrical contractor to make sure the fire damaged area is whole again and safe. We are the team to trust when dealing with storm damage repair and restoration. We are ready 24/7, locally owned and operated, and Faster to Any Size Disaster. SERVPRO of Loudon & Roane Counties has the storm damage experience, advanced equipment, and training to restore your home to pre-damage condition. 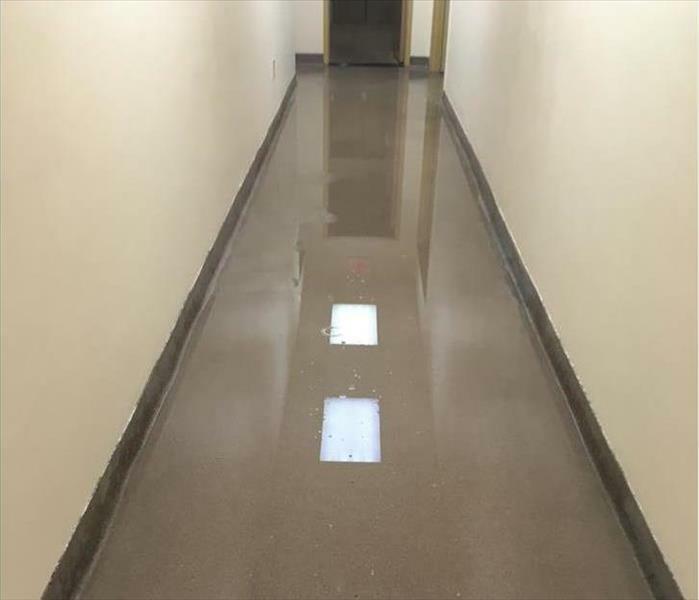 A burst pipe can quickly fill a hallway with clean, fresh water in a Loudon office complex. 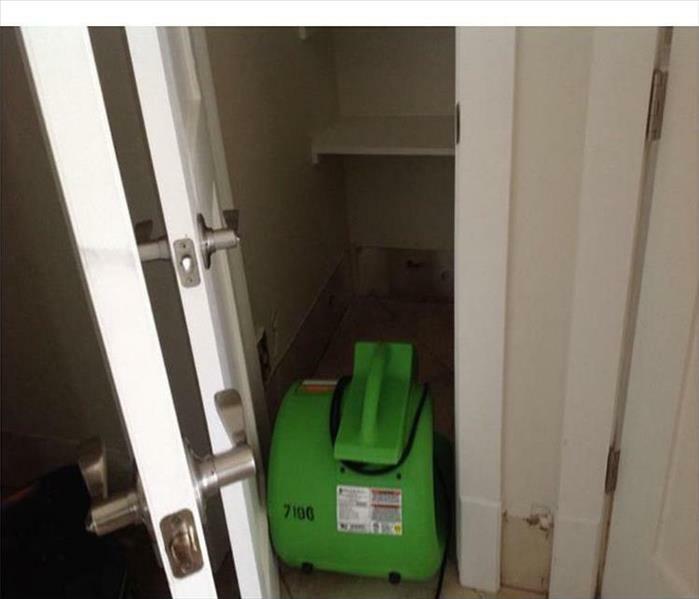 Since the water is potable, and not contaminated with sewage or chemicals, SERVPRO technicians can quickly set up equipment for extraction and then dehumidifiers to restore a pleasant ambiance. Count on us for fast service. 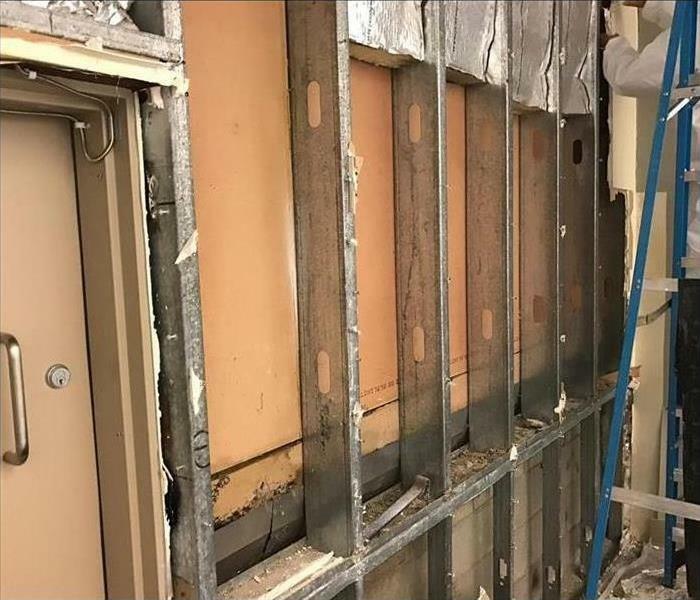 The moisture buildup damaged the sheetrock in this Loudon commercial building requiring a partial demolition of the wall and insulation. SERVPRO can remove only what is contaminated, treat the rest with an antimicrobial, and clean up the mess. 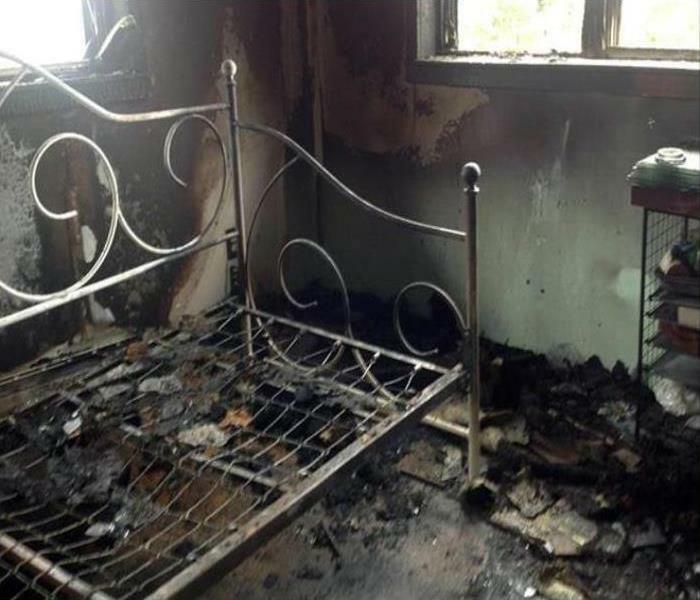 Our team can arrive quickly to your fire damage emergency anytime day or night. 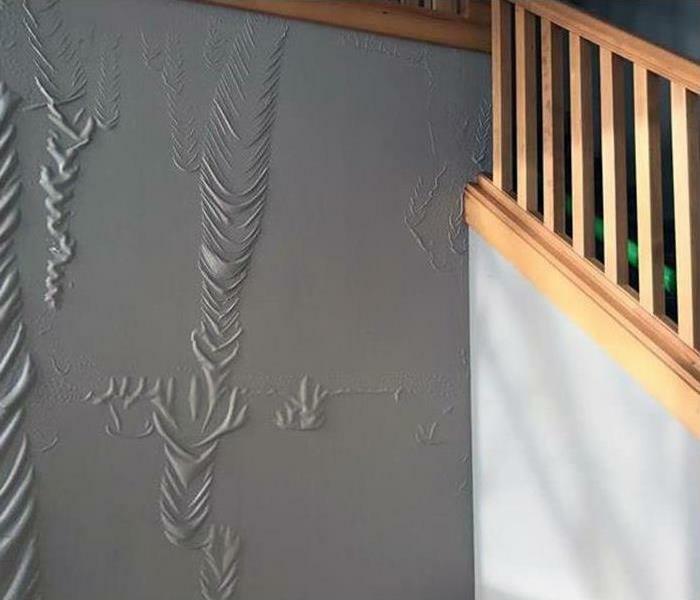 Our highly trained specialists have the state-of-the-art equipment, advanced training, and fire damage experience to restore your home to pre-damage condition. SERVPRO of Loudon & Roane Counties is available 24/7, locally owned and operated, and Faster to Any Size Disaster. The Photo depicts a cleaned dining room of an elder care center in the Loudon area. 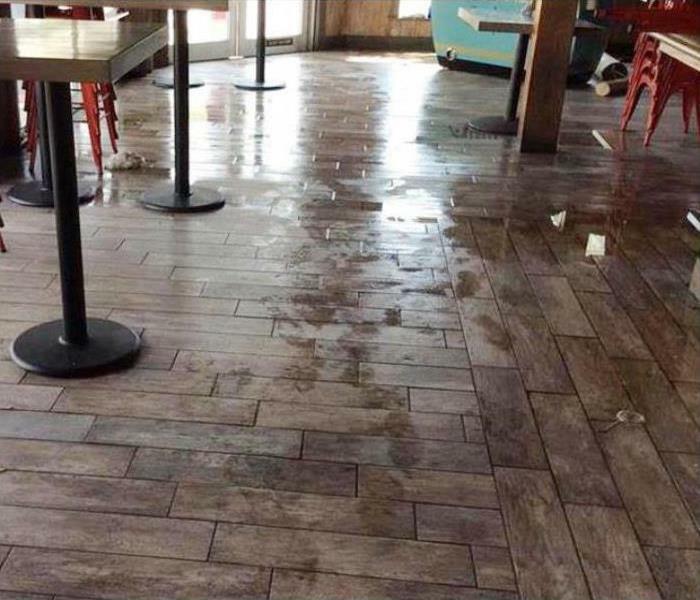 A broken line soaked the walls and hardwood flooring with a large volume of water. 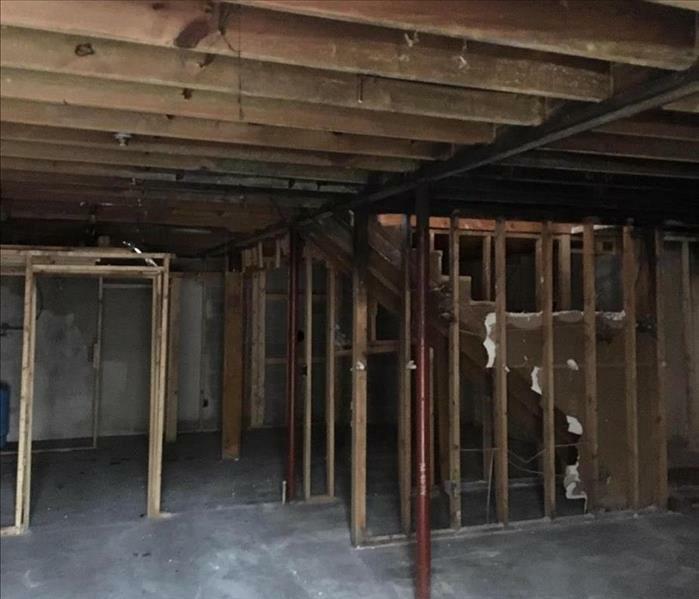 Rapid removal and a strategic partial demolition can mitigate damages to the property. Our team at SERVPRO will respond right away to your flood and storm damage emergencies. Our experts have the storm damage experience, state-of-the-art equipment, and training to restore your home to pre-storm condition. SERVPRO of Loudon & Roane Counties is available 24/7, locally owned and operated, and Faster to Any Size Disaster! 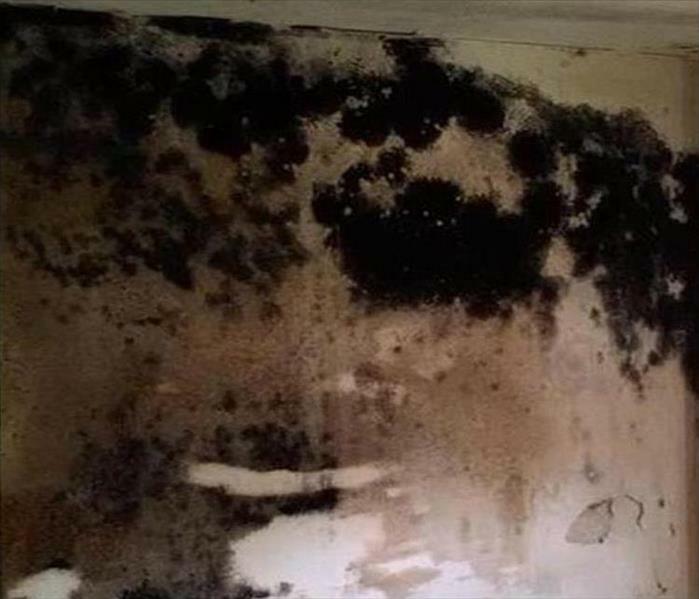 When mold engulfs walls and ceilings like in this Loudon house, the only option is a demolition and removal of damaged building materials. 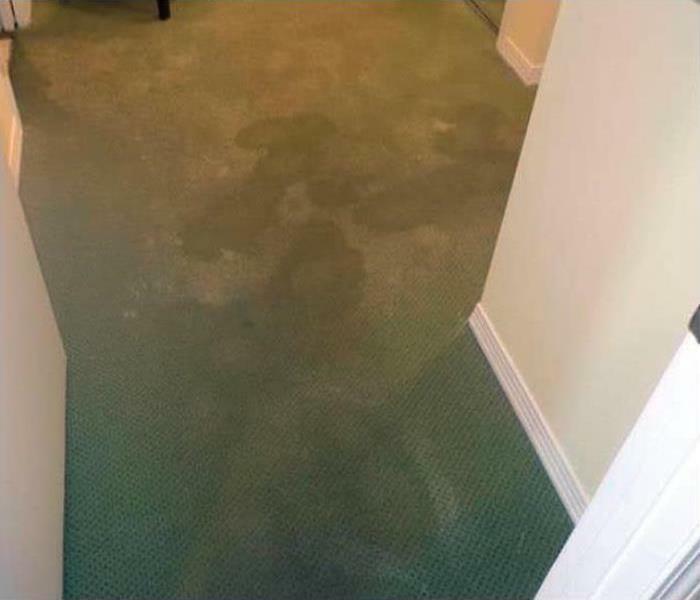 SERVPRO techs have the skills to prepare the affected area for a rebuild after applying an antifungal agent. Fire damage and the fire extinguisher residue left quite a mess in this Lenoir City home. SERVPRO of Loudon & Roane Counties could pack up the contents of the closet and transport them to our facility for cleaning and restoration while the repairing and restoration were taking place at the house. Our SERVPRO technicians can remove and discard soaked and delaminated carpeting from Loudon properties for starters. Then the work of drying out the plywood subfloor gets done with our heavy duty dehumidification equipment and documented as restored to preloss condition. Storm damage in Lenoir can impact large structures and create massive water damage. 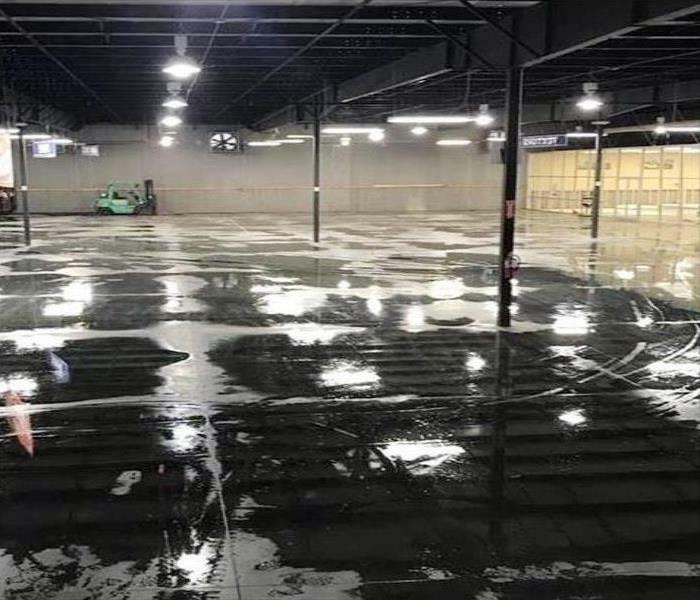 SERVPRO, when faced with storm damage of epic proportions, can roll out sizable commercial equipment to clean up the water damage from the worse storms. Deeply penetrating mold patches can only be remediated in this Loudon rental unit with a tear out. SERVPRO techs have the skills and equipment to safely remove the damaged wallboards without contaminating other areas of the structure. 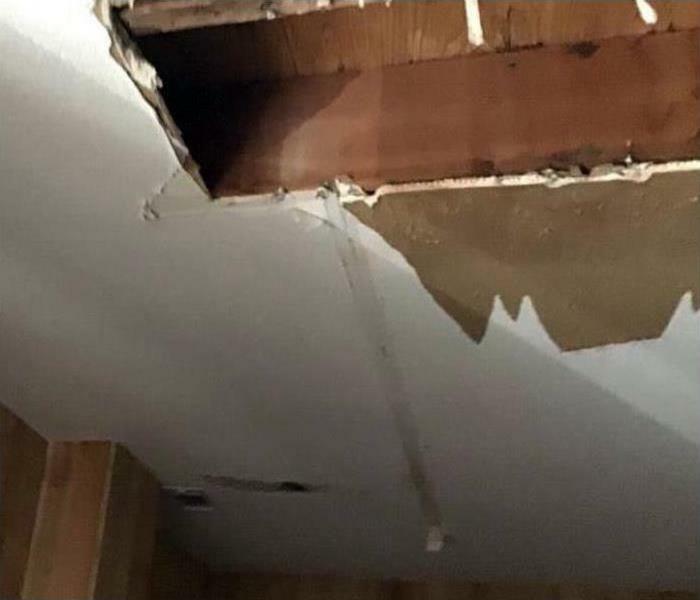 Water damage at this Loudon home was the result of a water pipe joint failing creating a leak that dripped onto the ceiling below. The section of drywall that was the dampest grew heavy and fell to the floor. 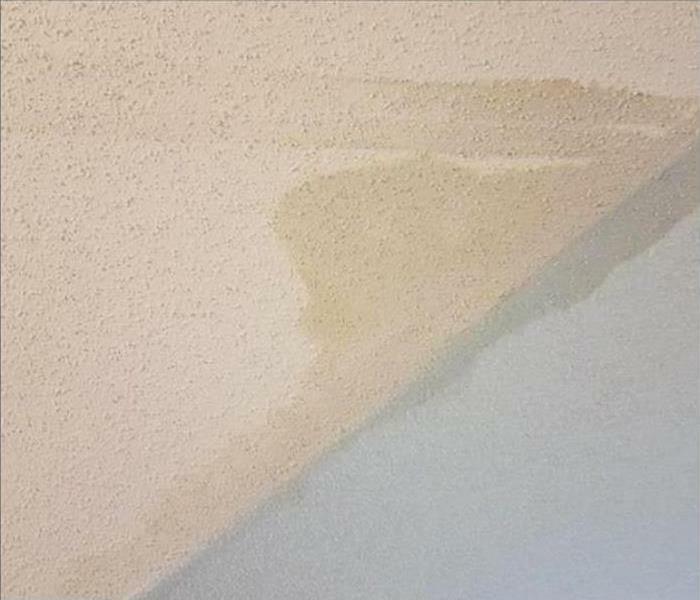 SERVPRO of Loudon & Roane Counties highly trained and industry certified technicians can remove the damaged drywall and repair the origin of the water leak. 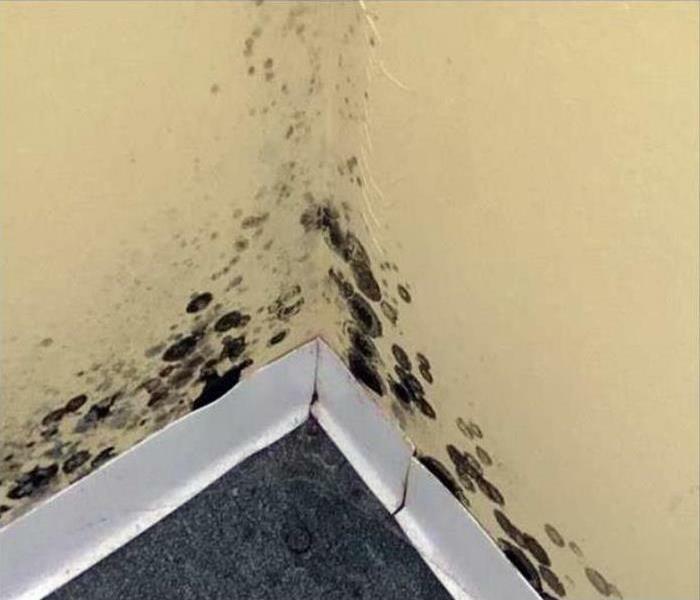 They would dry the entire affected area and treat it with an antimicrobial substance to inhibit any potential mold growth. 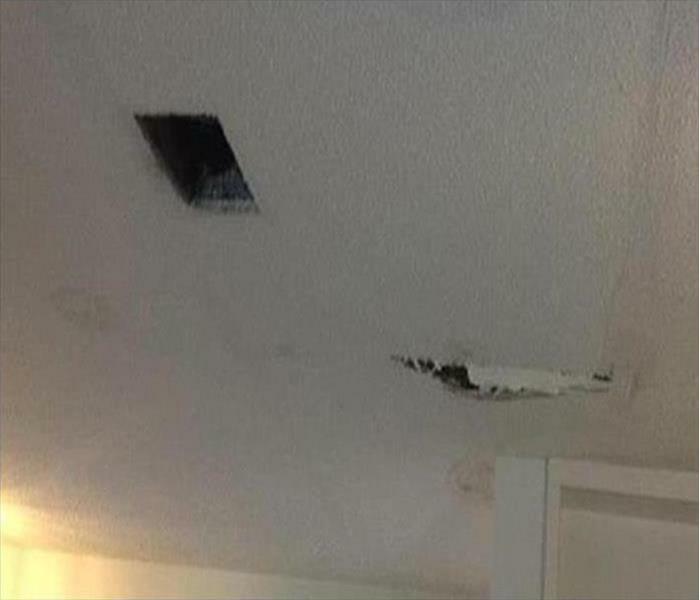 They would then replace the damaged drywall in the ceiling. When groundwater from a rainstorm pushes into a Lenoir City warehouse, a double problem arises. The water, being contaminated from the soil, pesticides, and other elements, can not only wet and ruin the stored inventory, but can cause potential health hazards. Count on SERVPRO for a swift extraction to mitigate the storm damage. This structure in Harriman was neglected until the mold infestation resulted in large-scale damage. SERVPRO can evaluate the harm, scope the process, and then execute a plan that can remove the ruined materials and apply an antimicrobial to sanitize the affected area. 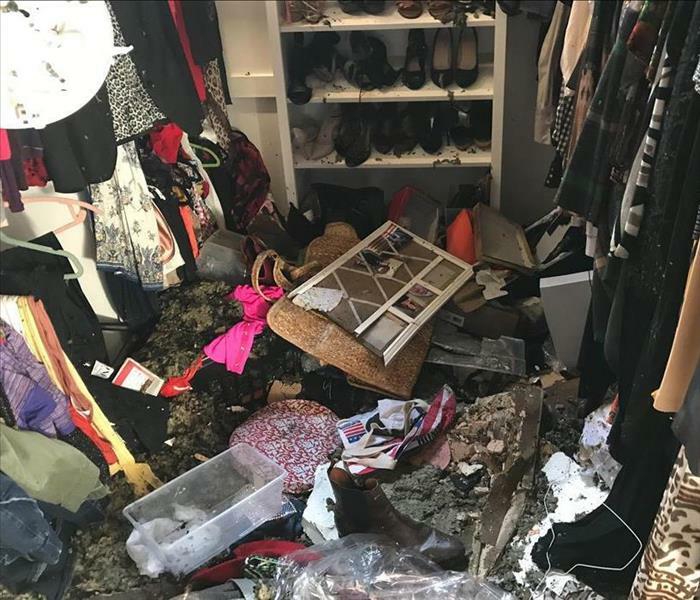 The fire in the attic affected this walk-in closet in a Loudon area home. 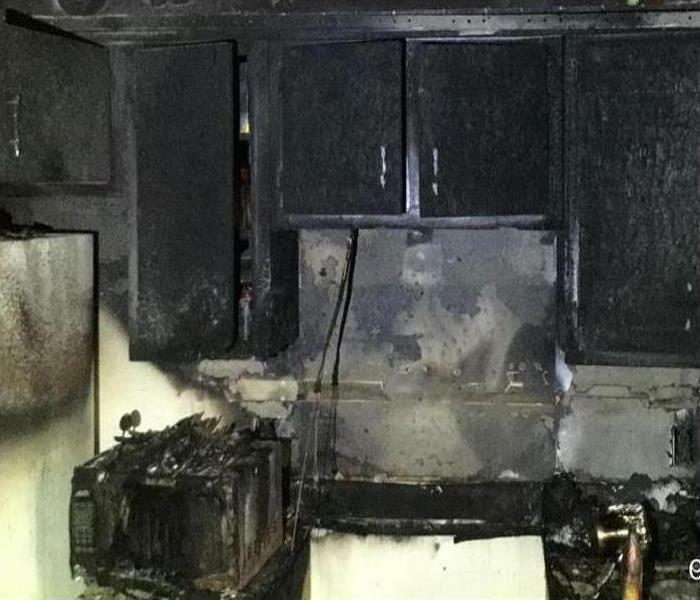 The charred, smoldering insulation and the water from the extinguishing meant SERVPRO techs must first clean up and toss out all the debris. Then the restoration could begin. 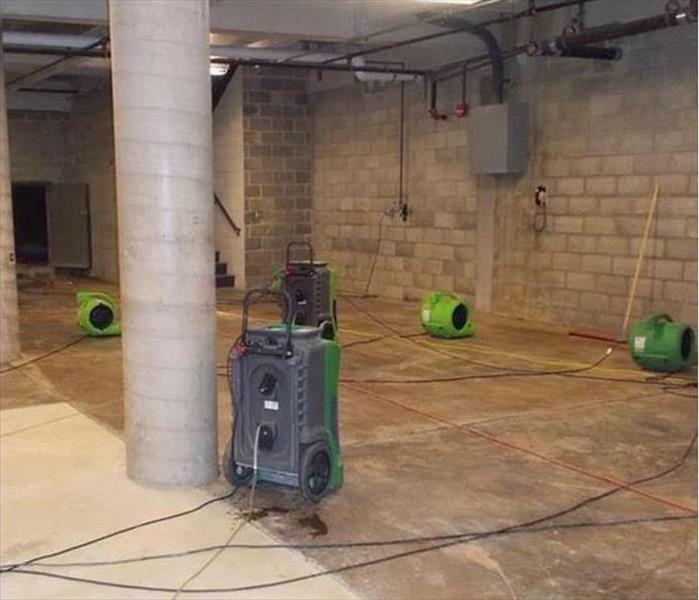 The team at SERVPRO are the experts to trust when it comes to commercial water damage. Whether a hotel or small office building, our professionals can tackle any size disaster. SERVPRO of Loudon & Roane Counties is a leader in the restoration industry and has the personnel, experience, and equipment to restore your property to pre-damage condition. 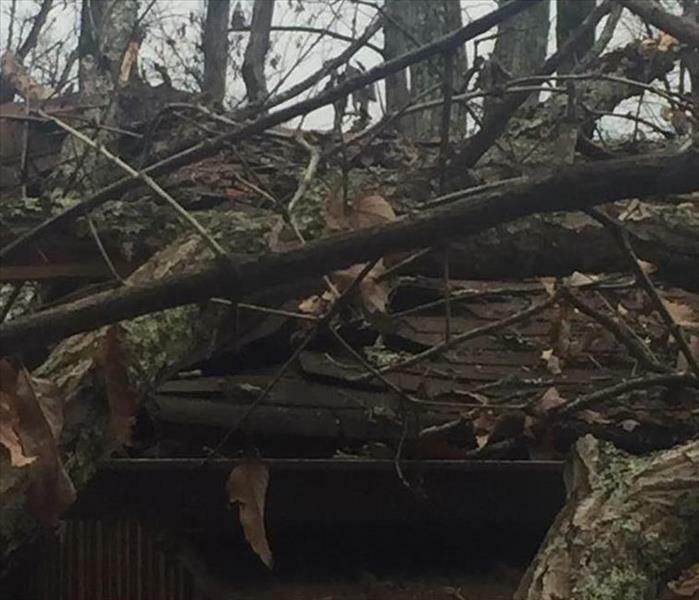 Strong storm winds and rain can breach a roof and drench the attic space, stored possessions, and then ruin building materials in a Loudon home. 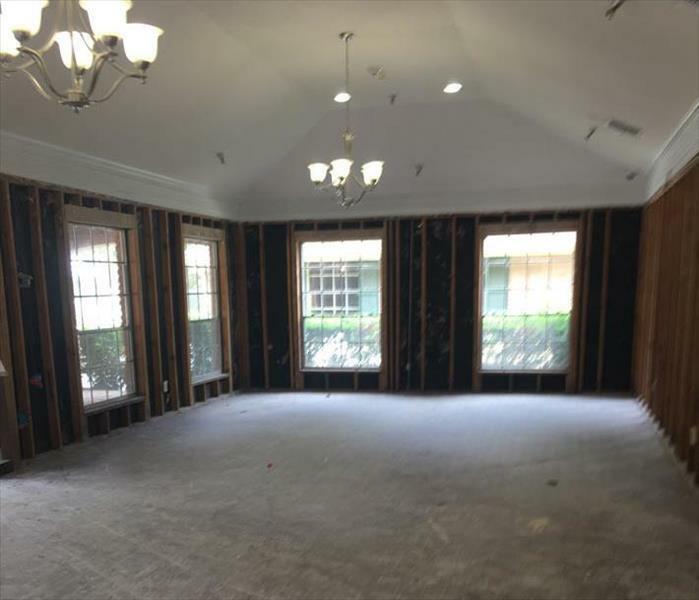 Removing damaged drywall and exposing the voids to air movers and dehumidifiers can restore standard moisture levels. Call SERVPRO for help. The water leaked into this enclosed space in a Loudon closet and needed rapid removal to prevent a mold infestation. The Air mover is working on finalizing the moisture removal. 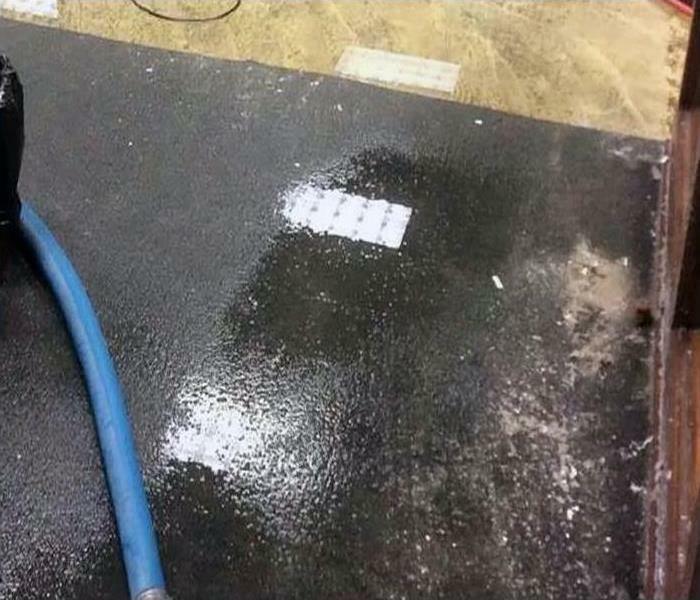 SERVPRO understands the importance of a dry result. The soot tags from a furnace puff-back in Harriman gives a spooky appearance to a messy situation. 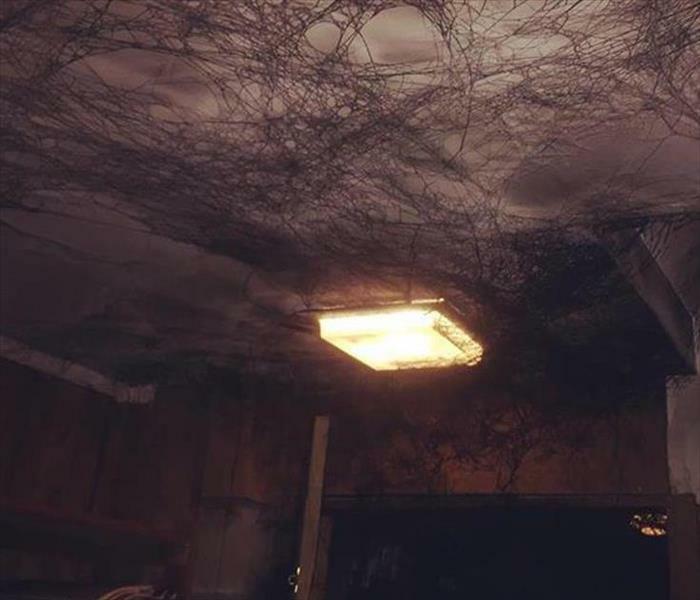 If SERVPRO is contacted to clean up these smoky "Spiderweb, we can minimize the staining from the greasy residue. 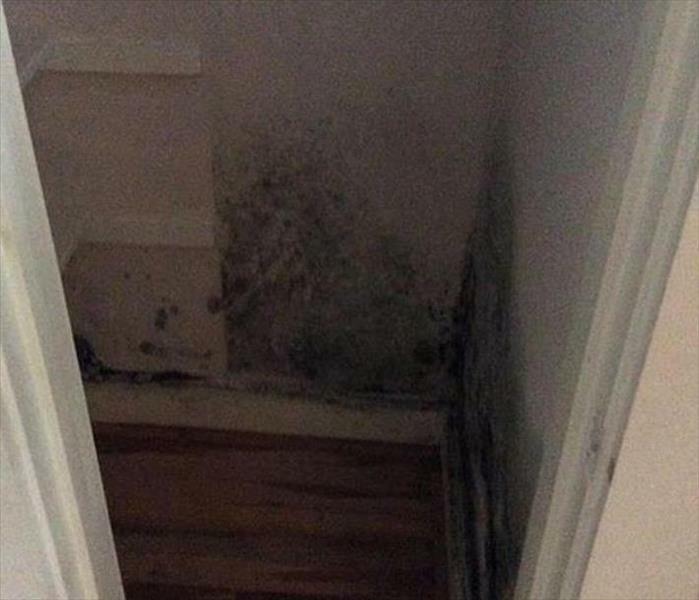 When dormant mold spores receive sufficient moisture in small enclosed areas lacking in sunlight, the patches seen on the walls are common in Lenoir City as well as many other places in Tennessee. 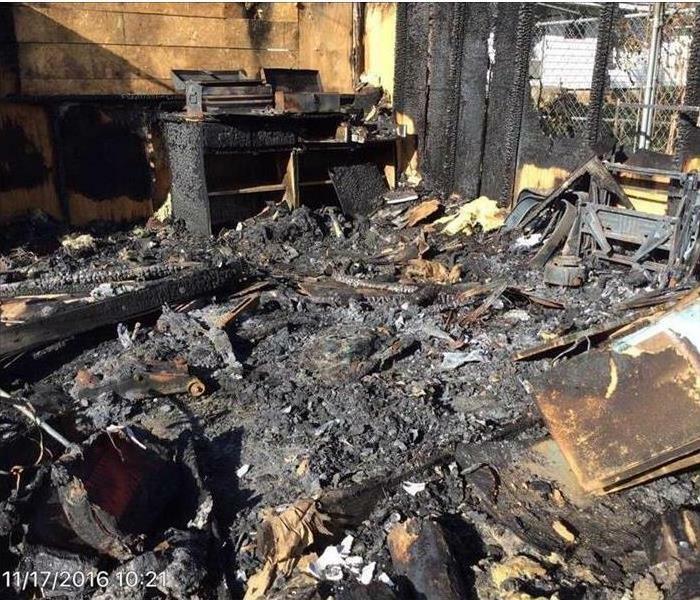 SERVPRO can remediate the problem and restore a safe environment to this property.